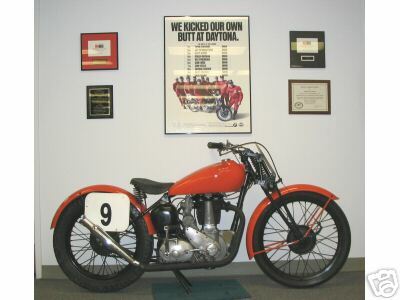 1948 BSA YB34, 500cc single. Rigid frame, girder front end. It has a '47 gas tank, with a beer holder built into the tank! Gallery Wheel Tramps - Motorcycles Matt's '48 BSA 1948 BSA YB34, 500cc single. Rigid frame, girder front end. It has a '47 gas tank, with a beer holder built into the tank!